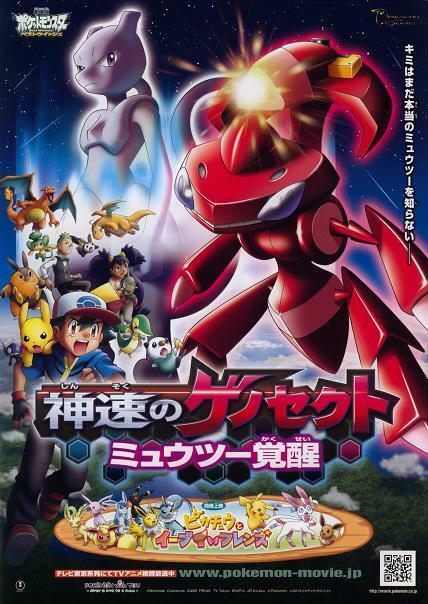 For the 16th Pokemon Movie, Pokemon Moive: Shinsoku no Genesect / Mewtwo Awakens, it has been decided that Ikimonogakari will be singing its theme song, Egao. The movie is to be release in Japan on 13th July 2013. "Egao" is composed by guitarist Mizuno Yoshiki and is arranged by music producer Kameda Seiji. And through vocalist Yoshioka Kiyoe's bright and comforting voice, delivers a moving yet positive melody along with encouraging messages. The chaku-uta version of the song will be released on 20th April and on 10th July, the song will be released as a single. Lastly, the first press edition of the single will include a Pokemon arcade game, Pokemon Tretta.